Parents are still the biggest funders of college tuition, covering 29 percent of the bill, according to student loan company Sallie Mae. As a parent, you want to contribute, but what if you aren't sure where to begin? Certified financial planner Mari Adam jump-starts the conversation. Most parents want to take care of all the costs of their children's college education, but financial experts say you shouldn't sacrifice your own retirement to do it. If you're reading this while your child is still a baby, consider what type of college experience you envision: Private or public? Local or out of state? Be honest about what you'll be able to afford. "It's important to save for retirement first," says Adam, "then, if you can, contribute to a college fund." Identify what tuition costs today and how inflation will affect that. The College Board puts the tuition range for 2017 at $35,020 (private, four years) to $3,520 (in-district public, two years), with numbers rising about 5 percent each year. Once you've projected a target amount, generate a monthly savings goal by dividing your estimated total by the number of months until your child is college bound. (Remember, this is just an estimate that may shift over the years.) Be sure to look into typical off-campus living expenses, dorm fees, and book costs, and include them in your savings goal. The number one mistake parents make, Adam says, is using a regular savings account that isn't earning much in interest. A 529 is a college savings account operated by the state and exempt from federal income taxes under most conditions. "You can start a 529 with very little money and continue contributing as much as you want - the limit is usually very high," says Adam. Set up the account in your name, so that you can maintain control over it until the day it's dispersed specifically for qualified education expenses (whether college, vocational training, continuing education or study abroad). Start socking away money every month - even if it's just $50. Ideally, you should do this as soon as your child is born, Adam advises. If you start later, the monthly amount you'll need to save increases. The sooner you begin, the faster your money grows; the interest earned gets added to your base amount annually, so you accrue interest on the previous year's interest. Most people don't take full advantage of the financial aid that's out there, Adam says, referring to scholarships, grants and other forms of federal, state and private funding. "You can have a fairly decent income and still get help," she says. A few easy-to-navigate sites to consult: Niche, Chegg, and Fastweb. Always fill out a Free Application for Federal Student Aid (FAFSA). "It may help your child qualify for work-study programs, grants, and other aid," says Adam. You should only borrow an amount that won't disrupt your retirement contributions, she advises. Federal loans tend to have higher interest rates but more flexible repayment plans, while private loans can have very low rates - 2.5 percent or so - but stricter payment terms. Create a smart (and easy to stick to!) budget with 6 new money apps. 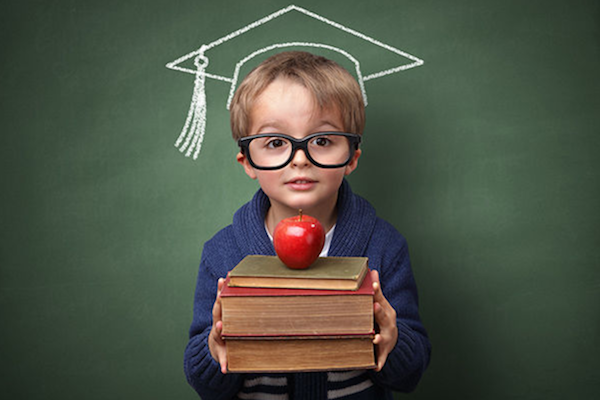 Help build your child's college fund by saving on expenses like auto and homeowners insurance. Contact GEICO today to see how much you could save on more than just car insurance.